This is a must do for me awesome awesome! love this card thanks for sharing. I love the paper you used! What a cool box! Great job! What a great idea! I love the colors you chose, and the stamp looks perfect on the tag! Thanks for sharing this project! This is soo cute Jessica! I love it! What a GREAT gift idea!! Beautiful job Jessica!! Beautiful packaging! Love that sentiment! I love this it is just to cool!! I LOVE the colors! 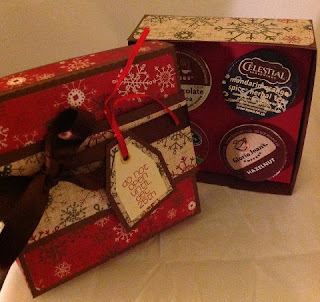 Your K-CUPS box is simply ADORABLE! great box set. the colors are great together. Thanks for sharing! Oh I love the warm colors and vintage look!!! This is wonderful! Love this!!! You did an amazing job!!! Love your project! Such a great gift idea! That is an awesome file, great job!! Super cute - perfect gift for the k-cupper's in your life. So, so pretty. Beautiful paper! TFS! Thank you for being a guest designer. This is a really cute idea. Thank you for sharing! Such a unique coffee gift presentation. Pretty colors and fun tag. This is a great gift idea. Love it. Beautiful papers and such a great project! TFS! Great idea! I can't wait until I can order this stamp! Awesome project!!! Love the colours! Love your project share today, and the papers are awesome. This is a get stamp to set to own and prefect for this gift. I know lots of people who would love a gift like this! awesome idea! This looks deeeeelicious!! Thanks so much for sharing! What a super cute idea! And the stamp is PERFECT with the little gift! Great project! !